Learn multiplication the fun way! 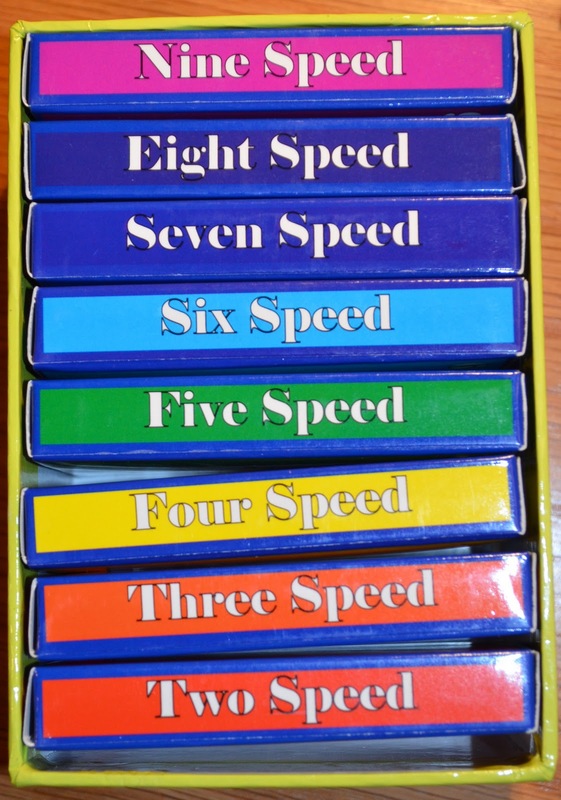 This game teaches skip-counting for numbers 2-9. 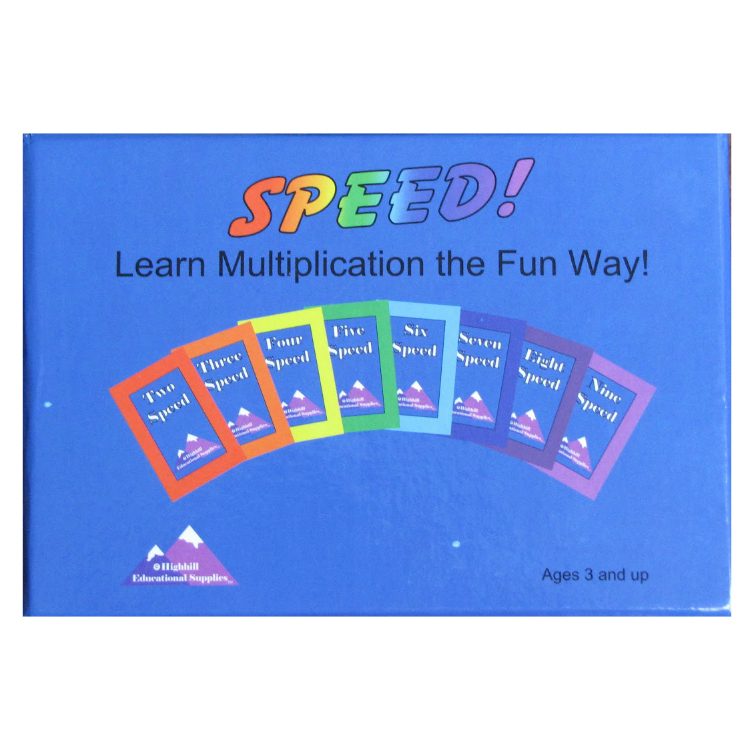 Playing speed enhances multiplication recall rate, helping to improve overall math skills! Teach your children to multiply with this exciting card game! Players simultaneously play their cards onto two piles in the center of the table by skip-counting. The player to get rid of their cards first wins! Watch out for “Speeds” or you could get stuck with more cards. 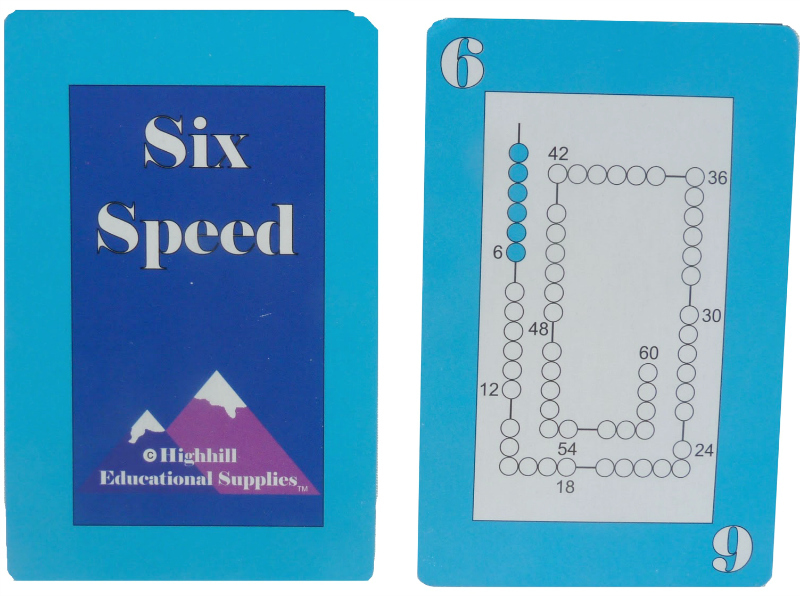 Use speed cards to teach skip-counting, use them as flashcards, or make up your own games! Here’s a step by step on how to use it as a curriculum.